Is it Fibromyalgia or Something Else? Chronic, widespread pain. Fatigue. Insomnia. Depression. Headaches. These are the common symptoms most people associate with Fibromyalgia Syndrome or FMS. But this syndrome is complex, its symptoms mimic other conditions, and it’s not easily diagnosed. There are well over 60 different symptoms that have been associated with this condition, some of which are comorbid or overlapping conditions. Muscle, skin, joint, cognitive, sensory, neurological, sleep-related, and the list goes on. For people like me, it can be difficult at times to determine if it’s just one of the myriad of things associated with FMS or if it’s something new. Sometimes it’s a guessing game: Is it Fibromyalgia or something else? How Do You Rule it Out? There are some promising studies right now on a blood test to diagnose fibromyalgia, looking at immune mediators and cytokine (small, secreted proteins from the cells) production. Mostly there are tests to rule out other conditions. If you suffer with this odd, misunderstood condition, you likely have experienced that feeling that something is not quite right. Sometimes it’s hard to differentiate a feeling, pain, or sensation. Is it just another a symptom of fibromyalgia, or is it something else? I have spent my fair share of time either avoiding doctors because I thought it was fibro, or going to doctor after doctor with no one being able to diagnose my specific ailment. Frustrating (and expensive), to say the least. My recommendation is that if a new symptom is extremely troubling, painful, or debilitating for you, visit your primary care doctor or rheumatologist to rule out other things. 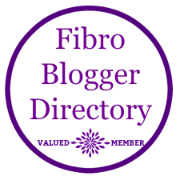 But if it’s just another day in fibro paradise, visit the Very Well Health website for a list of the 60+ symptoms commonly associated with fibromyalgia to see if it’s something of lesser concern. Paresthesias – This is that nerve pain that gives you tingling, burning, itching, shooting sensations, especially in the arms. I affectionately call that burning sensation “hot spots” because mine are like flashes of a burning under the skin, that move throughout my extremities. And the itching that isn’t associated with dry skin or bug bites drives me nuts. Skin Sensitivity or Allodynia – That “don’t touch me, don’t hug me, don’t even look at me” feeling that makes just the simplest of touches hurt you. “Over one-third of people with fibromyalgia develop a small fiber neuropathy caused from the chronic pain. In addition, the chronic pain causes amplification of pain signals in the brain itself, as well as changes in three key neurotransmitters related to pain,” Dr. Teitelbaum says. Sensory Issues – Becoming sensitive to noise, light, and smells. This last one has gotten worse for me the last few years. I have given up several fragrances I used to wear. Certain smells give me severe headaches – don’t get me near a smoker. I joke with my kids that I have developed the “super-sniffer“! Neurological Issues such as dizziness, poor coordination and balance, and fainting. Check, check, check. I have stumbled, fallen, and probably looked like I was drunk crashing into walls at work. I get such severe dizziness and bouts of vertigo that I have been in bed from it for days. Lift my head and the rooms spins. I have been to the doctor to have tests, only to find nothing wrong. And once was prescribed antivert which made me sleep for two days. Sure, I wasn’t dizzy, but at what expense? These are often the symptoms of some other condition, and can thus be quite scary and unnerving, but it really could just be fibromyalgia. Increased sensitivity to alcohol and medication – You know all those warnings they put on the prescription labels at the pharmacy? Expect eventually to get some of them. I have given up most medications because I am so hypersensitive to side effects such as weight gain, nausea, dizziness, drowsiness. I don’t need any help with those things! Fibro fog – No, you’re not losing your mind. Just your keys. Or your grocery list. Or where you parked your car. Or, what was I saying…? That brain fog is very common and troubling for us. I can be talking and forget the word I want to say. If I don’t write something down on my to do list, it may be forgotten altogether. Sleep issues and constantly battling pain and fatigue will show up in other areas in your body and mind, like this. So much energy goes into just getting through the day it’s no wonder our synapses don’t always fire accordingly. Non-cardiac chest pain or Costochondritis – OMG, I am having a heart attack. I literally thought that back in 2011 when my blood pressure spiked to 180/120 and the paramedics took me to the ER. I was given nitroglycerin in the back of the ambulance before we got to the hospital. Nothing found. I was sent to a cardiac specialist, given stress tests, wore heart monitors. Nothing found. It’s always better to be safe than sorry, so get it checked out! But it’s frustrating to think that might have just been FMS. Costochondritis, or an inflammation of the cartilage around your ribs and chest bone, is one of those comorbid symptoms that can be treated, so definitely get checked out. I bruised my ribs in my younger more active days bungee jumping, and still sometimes have some tenderness in this area. Hair loss – I never associated this with fibro until reading this blog from Periwinkle Pursuits. (I have found a shampoo and conditioner that works well for me, is cruelty free, and minimizes the breakage/hair loss — Hempz Pomegranate shampoo and conditioner). Throat Issues – Hoarse voice, sore throat, difficulty swallowing or choking. I have had all of these things. Sometimes just as I am falling asleep it’s like I can’t breathe or swallow and I sit up gasping. Other times people think I have a cold, but it’s just a hoarse voice that comes and goes. Muscle Twitches or Dystonia – Muscle twitches or spasms, or even twisting muscles can be another one of those disconcerting symptoms. An eye twitch or a spasm in your hand may be just a little distracting, but the feeling that someone is wringing your shoulder like a wet rag can be very painful. That is one of the sensations I experience in my shoulder, that also leads to shooting pains down my arm. Severe cases of dystonia in the neck can result in extreme twisting, repetitive movements, and migraines. “In fibromyalgia your brain is not responding in the normal way to pain signals, while in dystonia the nerves in the brain that cause muscle movement are out of whack. It is likely these two conditions are connected or one can cause the other,” according to FibromyalgiaSymptoms.Info. Fibromyalgia is such a complex syndrome consisting of a variety of symptoms, rather than one defining one. Sometimes going to the doctor means ruling out other things rather than pinpointing a single diagnosis. After all, it is called practicing medicine. So when trying to ascertain if your latest ailment is something else or “just fibromyalgia,” do your research, talk to your doctor, and trust your gut. Let me know what weird symptoms you have that may or may not be associated with fibromyalgia. I have trouble with phone calls now, talking & processing the conversation… do you & your readers with FM have the same? Also I had the throat issues you mention above & it turned out to be Hashimotos thyroiditis… This is diagnosed with a blood test… pays to get it checked out! Yes, I hate when I lose the word or words I am trying to say in the middle of a conversation. Frustrating! It always pays to stay in touch with your doctor, and do regular blood work, so your doctor can spot problems and trends. So glad you were able to get a diagnosis, so you can get treatment. Such a scary thing not knowing. Fibro fog ahhh! Such a malady! Ýes, & it is important to describe symptoms to your physician, as many particular conditions need specifically requested blood tests ie. TSH, T4 & T3 for thyroid… every condition doesn’t necessarily get covered by the normal FBC (full blood count).